At least 6 tornadoes have now been confirmed across Louisiana and Texas from Friday's storms, including one in East Texas. CBS 19 gives the latest on the powerful storms. The National Weather Service in Shreveport has released a damage survey for the April 13, 2018 tornado events. The first tornado was in Harrison County and Caddo Parish and was rated an EF-0 with an estimated peak wind of 80 MPH. It had a path length of 10.67 miles and a width of 100 Yards. No fatalities and injuries were reported. 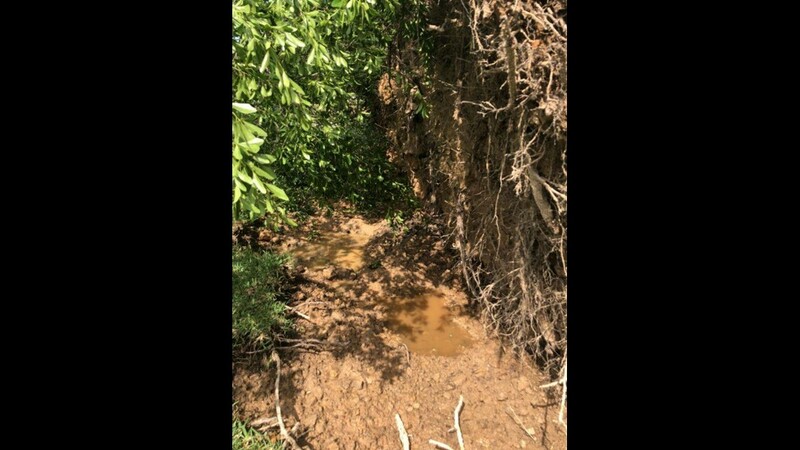 Survey Summary: A tornado touched down along FM 9 near FM 451 where it broke several large branches from a few trees here. It continued east-northeast just north of CR 1220 where it continued to break large branches from trees. It blew the roof off a small barn before it crossed into Caddo Parish. It broke several large branches down from a few trees when it crossed Elysian Fields Road. The tornado continued east-northeast where it uprooted a tree along Highway 79 that knocked down power lines. The tornado continued northeast where it knocked down several large branches from trees along Shirley Francis Road. The tornado uprooted trees and broke large branches just southeast of Greenwood before lifting. 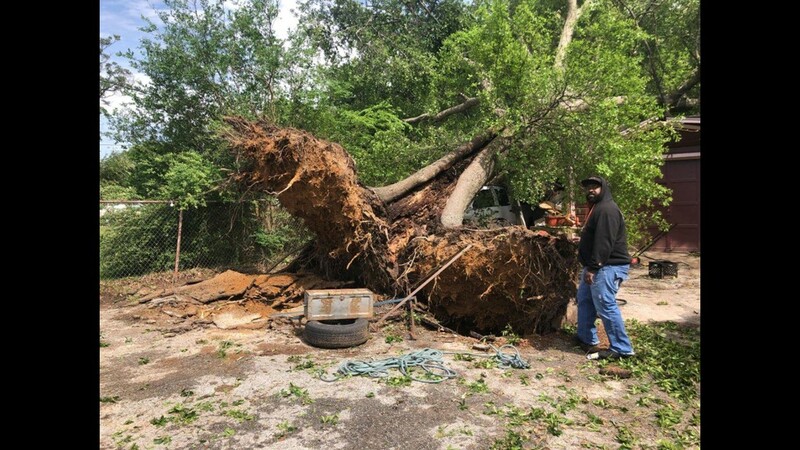 Related Stories: Communities across East Texas deal with storm damage. The second tornado was in Caddo and Bossier Parishes and was rated an EF-1 with an estimated peak wind of 110 MPH. It had a path length of 22.52 Miles and a width of 1100 Yards. One person was killed and no injuries were reported. Survey Summary: A tornado touched down just west of 3132 along Dixie Boulevard where it uprooted a few trees. It continued east-northeast crossing 3132 breaking several large branches from trees. The tornado did roof damage to three hotels near the Monkhouse exit along I-20. The tornado paralleled I-20 where it uprooted trees and damaged a few billboard signs. The tornado shifted north-northeast crossing Jewella Avenue near Jackson Street where it began to do significant tree damage in this area. The tornado swelled to around 800 yards wide where it uprooted and snapped numerous trees along a 13 block path east-northeast to the vicinity of the intersection of Hearne Avenue and Lakeshore Drive. The tornado continued northeast into downtown Shreveport doing sporadic tree damage before crossing the Red River into downtown Bossier City. 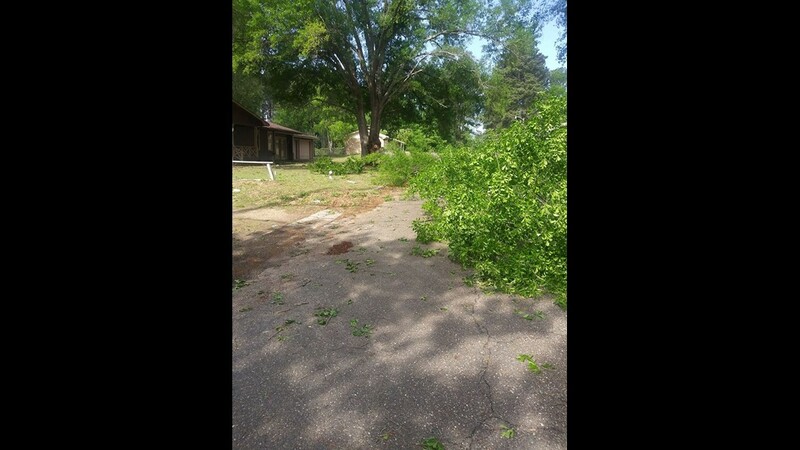 The tornado uprooted a number of trees and broke several large branches between Bossier High School and I-20. The tornado strengthened near the Heart of Bossier shopping center and Benton Road where it uprooted several trees as it headed east-northeast towards Pierre Bossier Mall. It uprooted or snapped several trees along the south side of the mall and I-20 in this area. The tornado was able to knocked down the top half of the east- facing wall of a strip mall on the north side of Pierre Bossier Mall. 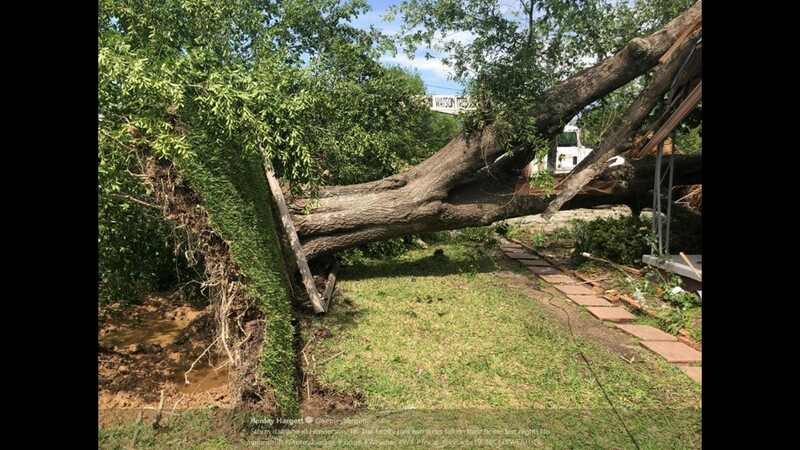 The tornado shifted northeast where it paralleled the north side of East Texas Street where it continued to uproot and snap trees. 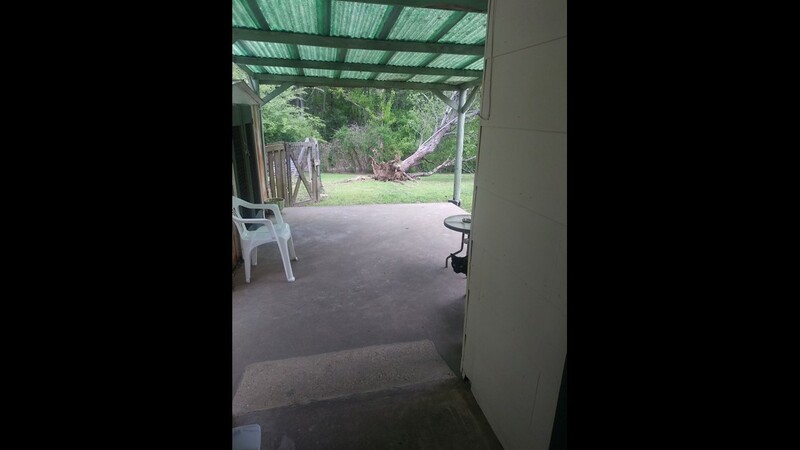 There were a number of mobile homes that were damaged along East Texas Street/Highway 80 due to falling trees. The tornado was at its weakest point as did sporadic tree damage as it crossed over I-220 near Louisiana Downs. The tornado began to rapidly strengthen as it approached the Red Chute area where it knocked a large tree down onto a travel trailer in the Hillcrest mobile home park, unfortunately killing a two year old infant. 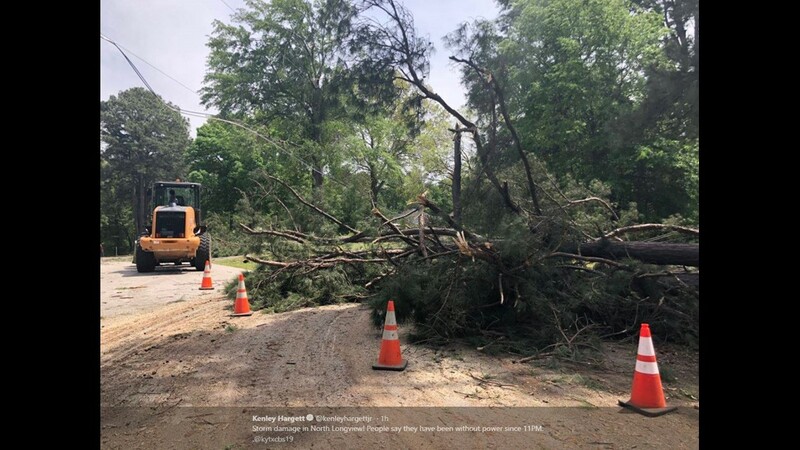 The tornado did considerable tree damage as it crossed Bellevue Road just north of Highway 80, splitting trunks and uprooting trees as it reached its widest width, 1100 yards. 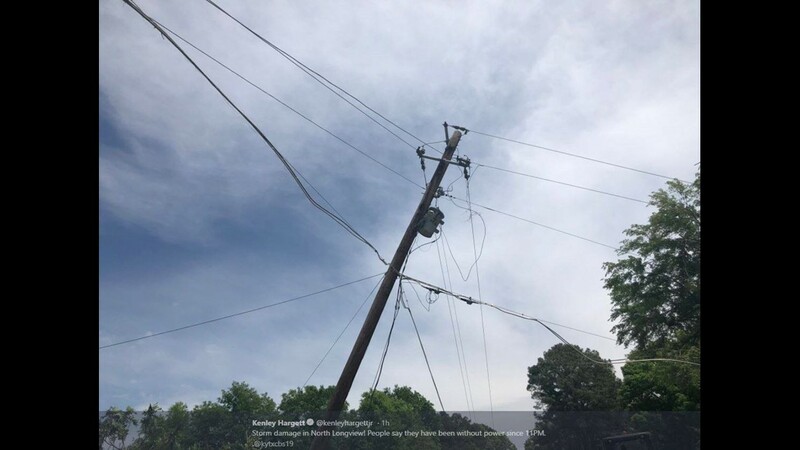 The tornado continued northeast paralleling Adner Road while doing significant tree damage in the northern sections of Country Place Subdivision near Eastwood. The tornado continued northeast doing more tree damage as it crossed Winfield Road west of the community of Princeton just west of Princeton Elementary School. The tornado uprooted a few more trees north of Princeton along highway 157 before lifting. An unconfirmed tornado report in Ore City will be surveyed tomorrow. Several trees were uprooted and power lines were downed in Diana on Dunn Bottom Road off Hwy 154. EF Scale: The Enhanced Fujita Scale classifies tornadoes into the following categories. The information in this statement is preliminary and subject to change pending final review of the events and publication in NWS storm data. Storm damage in Henderson, Texas. Photo by CBS 19 Kenley Hargett. Storm damage in Longview, Texas. Photo by CBS 19 Kenley Hargett. Storm damage in Morris, Texas. Photo by CBS 19 viewer Tina Rodriguez.